HOLLOW LEG on SEE Chicago, a new TV show on WGN-TV. CUSP Magazine in association with Jack Daniels presents #The Process. The process looks at Chicago based entrepreneurs who are using their bartending & mixology experience to inspire their own business and brand. HOLLOW LEG has five stars on Yelp! Learn more about what drives HOLLOW LEG, the owner, and upcoming events! Melissa McEwen of Chicagoist talks about incorporating acidity in cocktails without citrus, and HOLLOW LEG is featured! HOLLOW LEG's bitters making class is featured in this Chicagoist piece! Did you know Devin of HOLLOW LEG teaches cocktail classes over at KOVAL? Get to know her and the classes over here! 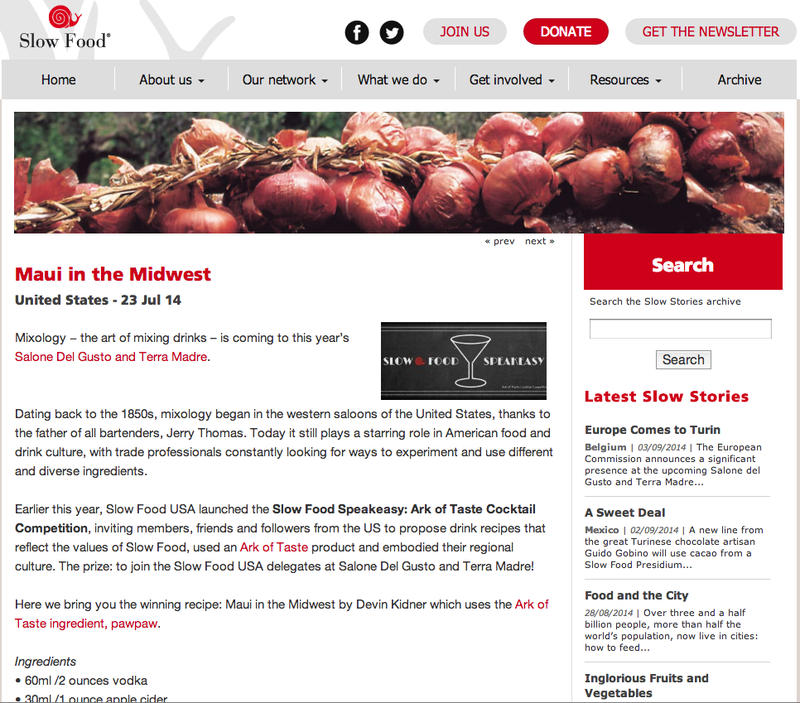 Slow Food USA covering my first place win! Slow Food International covering my winning recipe for the Slow Food USA Slow Food Speakeasy: Ark of Taste Cocktail Competition. The announcement of my winning cocktail through Salone del Gusto. Article in Italian. Ellen Krasin of From Scratch attended one of our holiday cocktail and DIY bitter making classes and wrote about her experience! Check it out by clicking above. Read the review David Marshall of the blog, A Drink With My Brother, gave of HOLLOW LEG's The Art of the Cocktail 101 class.